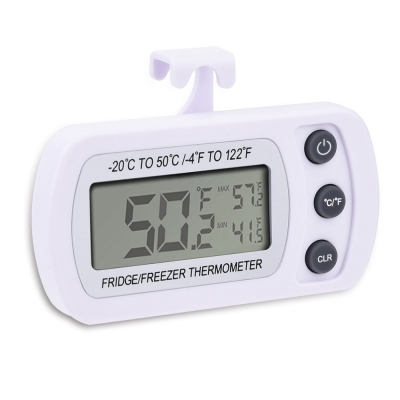 Mudder digital freezer thermometer monitor could test the freezer's temperature accurately with the sensor coated with waterproof glue. For its space saving, it can be hanged or stood with its rotatable hook in a flat place of freezer. Besides, it records the max or min digits for the environment. These applied and convenient functions can help you have a better detection of your freezer. 1. Do not soak it in water. 2. When the display is dim, please change the battery as the instruction says and tighten the screws. 3. It needs about a minute for reaction about the temperature. 4. It works better in a freezer or refrigerator.